It’s been a while, but we’re back with even more analysis. In a bit of a hurry this afternoon, so if you have any questions, it’s probably on the syllabus. 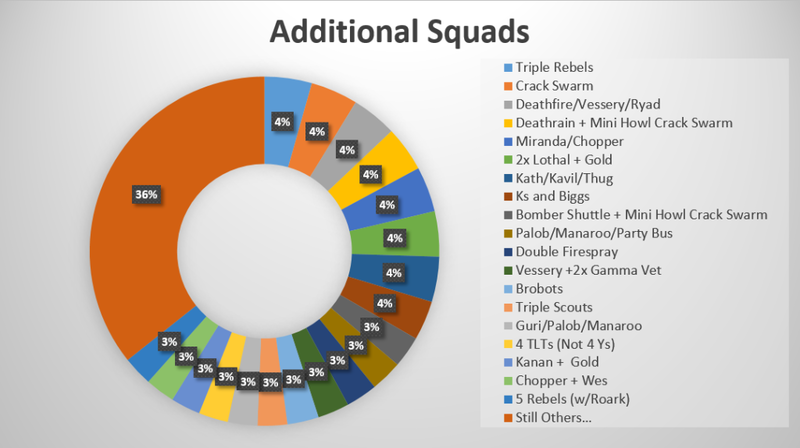 This latest data is based on 15 events from the last 2 months since Imperial Veterans was released. 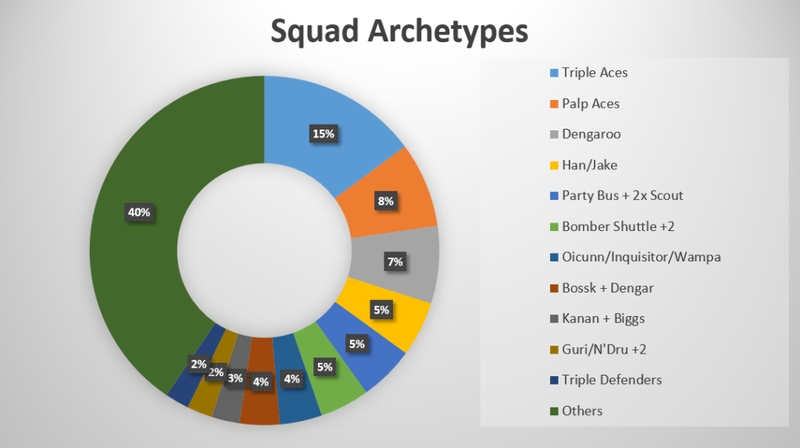 It draws from the wining squads in over 400 matches. As always, this doesn’t necessarily reflect how many people are playing certain squads, just what’s showing up with checks in the W column. It also reflects what was actually played, not what theoretically will do well. 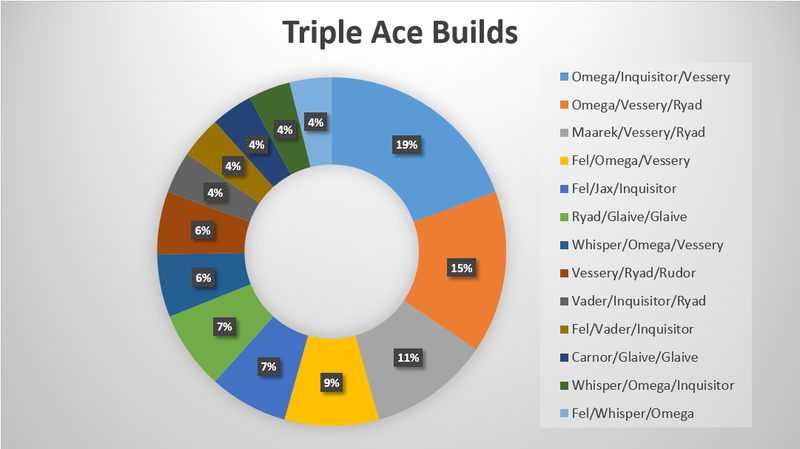 For squad archetypes, Oicunn/Inq/Wampa is separated from Palp Aces, despite having Palpatine. 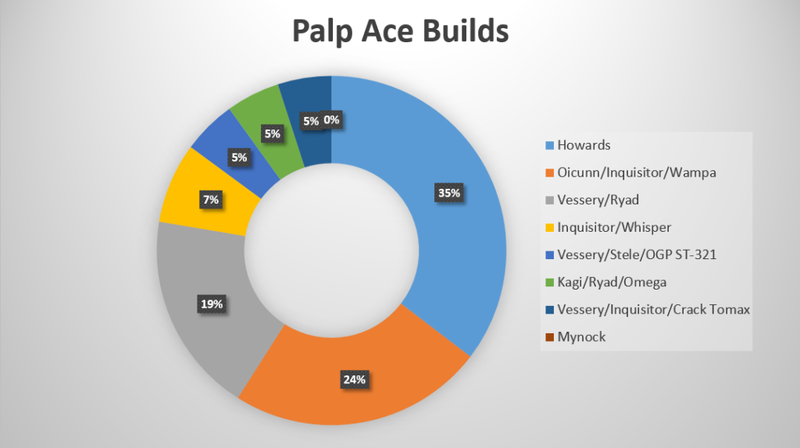 It is included in the Palp Aces chart later on though.